What is included in a set of our award winning house plans? How many sets of house plans should I order? 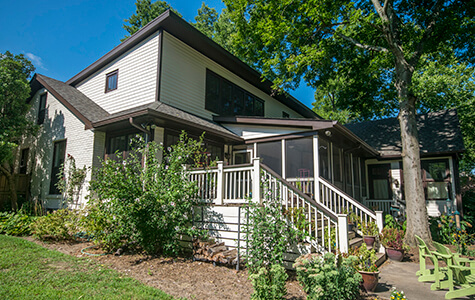 A study set of home plans includes all four elevations and the floor plans. It is intended to help you decide if the home will fit within your construction budget. It does not include a roof plan, foundation plan, building sections, or details, which isn’t suitable for construction. What is a reproducible vellum set of plans? These are complete sets of home plans printed on erasable vellum, which will allow you or your contractor to make minor changes to the plans. Once the changes are made, you can then make all the copies you need. Reproducible sets include a copyright release allowing you to legally make copies; however, you may not build more than one home from the plan without reuse fees. 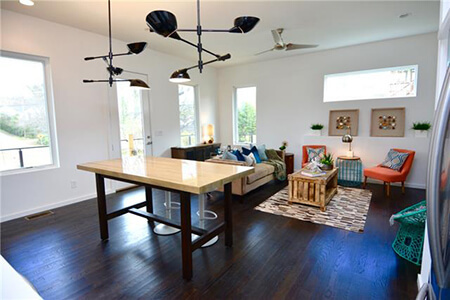 Square footage includes all heated space or the gross square footage. It includes the exterior wall frame and brick. 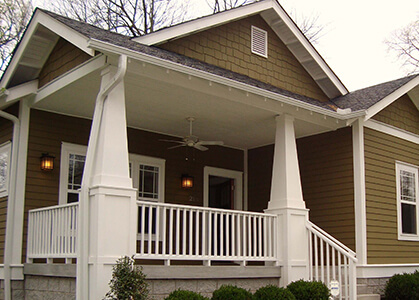 It does not include decks, porches, garages, unfinished basements or attics. 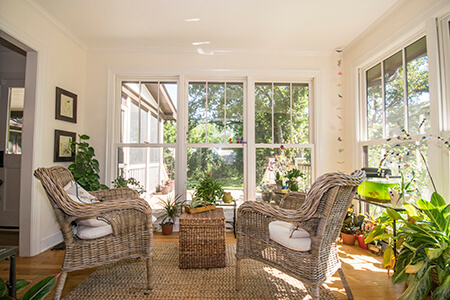 The square footage for patios, porches, decks and garages is listed separately. Only ceilings with a 5’-0” head space or higher is counted in the vaulted or attic spaces of a one & half story house. What is a reuse fee? When you purchase a set of house plans, you’re given the license to use them for construction on one site only. A reuse fee is payable for construction of the same plan on each additional site. All of our plans are protected by copyright. Reproduction in their original form or as modified without prior written permission of Taylor Made Plans is prohibited and is a violation of federal copyright law. In addition to the catalog of stock plans, Taylor Made Plans also works one-on-one with clients to customize our plans to fit their needs. If you’ve found a plan that you like, but it could use some modifications to meet your exact criteria, contact us. 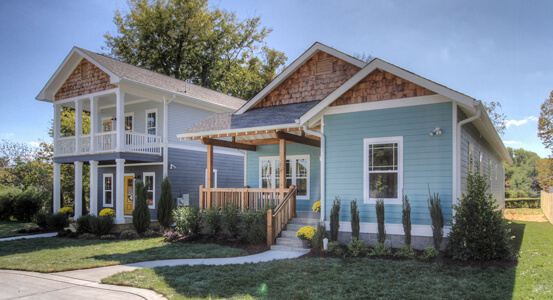 We want to make sure the houses we design fulfill all the expectations of the people who live in them. Do I own the house plans once I purchase them? All of our plans are protected by copyright in whole or part. Reproduction in their original form or as modified without prior written permission of Taylor Made Plans is prohibited and is a violation of federal copyright law. By accepting these Drawings, Property owners signify their agreement that Residential Designer shall remain the owner of the Drawings and non-standard design concepts produced in connection with this construction project. Property owners understand and agree that the Drawings and non-standard design concepts may be used exclusively for purposes of this project and that the Drawings and non-standard design concepts may not be used in connection with any extension of this project or any other project in whole or part. Property owners may retain copies of the Drawings for information and reference in connection with the use and occupancy of the Property. Will the plans include all the information needed by my local building codes department? Because of the great differences in geography and climate throughout the United States, each state, county, and municipality has its own building codes and zone requirements. Your plan may need to be modified to comply with local requirements regarding snow loads, energy codes, soil and seismic conditions, and a wide range of other matters. Your local building codes department can provide you with a list of items needed for a building permit. We recommend you consider an Energy Star new home. Many municipalities require a site plan, which locates the new home on the building lot. A survey of the land or lot can easily be obtained from a local surveyor. They can also locate the house base on building setbacks. Is a mechanical duct work layout included? Due to regional variations, it is not possible to include some details about heating, and plumbing work in the plans. We do locate return air vents on the floor plans. Duct work, venting, and other details vary depending on the type of HVAC system used. These details and specifications are easily obtained from your mechanical or plumbing sub-contractor. Do you help with gathering bids and hiring a builder? 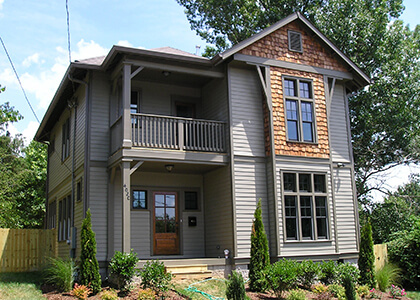 We can recommends a few builders, if you are building in the Nashville area. Otherwise this is outside our scope of work. Do you supply a materials list? Not at this time. We recommend that you take your prints to your local lumber yard for the take off. What if I don’t see a plan that’s exactly what I’m looking for? 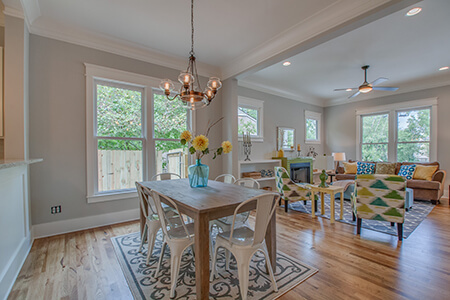 If you don’t see the exact floor plan or square footage you’re looking for, ask about our customization. If the changes are minor, they may even be included in the price of the stock plan! We can usually reduce or enlarge square footages of existing plans. Most of the plans are designed with wood framing and lap siding. 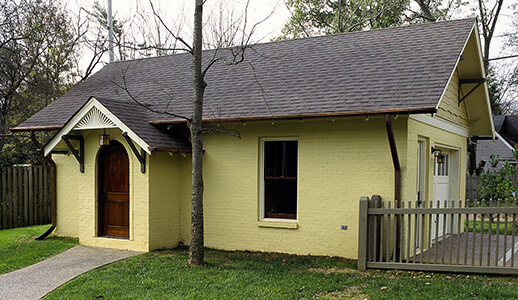 We can customize plans for brick exteriors, and we can modify the foundations to slab on grade from crawl space, according to your needs. Almost anything is possible, within our historic modern design style. Please allow a few weeks for customization. What if I find a house plan that’s not exactly what I’m looking for? What are the design fees for modifying the house plan drawings? If you find a house plan that you would to change, ask about customization. We can usually reduce or enlarge square footages of existing house plans. Please allow a few weeks for customization. Are your plans ADA Accessible or can they be modified for this? We can work one-on-one with clients to customize our plans to fit their accessible needs or aging in place needs. Can I use your plans in a gated community? Most cities and states in the United States do not require a licensed architect and/or engineer seal drawings unless it’s over a certain square footage; such as 5,000 sq. ft. However, some coastal cities, and “gated” communities, require that a licensed architect and/or engineer officially approve, or “seal”, blueprints prior to construction. Before ordering a plan, we advise that you consult local building code officials who can tell you if a review is required. Make sure you ask if its “REQUIRED” or “SUGGESTED”, because there is a different! We recommend hiring or buying a house plan from an expert designer whether it is a Residential Designer or Residential Architect. If a seal is required, you will have to find a local licensed architect or licensed engineer to perform this function for you. In addition, check to verify whether your property is located in historical overlay district with design guidelines. Do you have more modern plans? 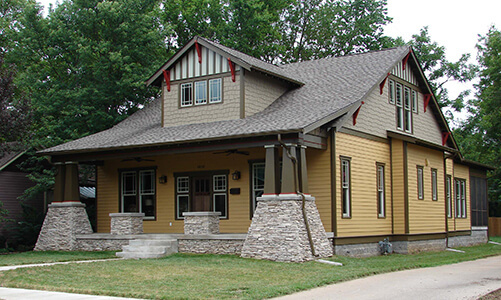 In addition to historic replicas, Taylor Made Plans can customize homes with a more modern exterior, using alternative materials that will still blend in well in a historic neighborhood. Call us to discuss your style preferences. Can I return stock plans? Plans cannot be returned or exchanged. Please be sure of your order before placing it, including checking the dimensions of your building lot! How long does it take to get the blueprints of the plan? In most cases, we will ship your plans within 2 business days from receipt of payment; if we are unable to ship within this time frame for any reason, we will contact you upon receipt of your order with an estimated shipment date. If you desire modifications to the plan, additional time will be required depending upon complexity. U.S. Priority Mail (2-3 business days), FedEx standard overnight (order before noon central), or you may provide your own FedEx or UPS shipper number. What are the terms and conditions of Taylor Made Plans? A “CAD File” is a Computer Aided Design 2-dimensional digital copy of the Plans that can be changed or modified with the appropriate software. The file format, DGN, DWG or DXF can be opened with professional drawing software such as AutoCAD and MicroStation. Blueprint copies can be made from a CAD File. What are Digital Bond Copies? “Digital Bond Copies” are copies of the Plans reproduced on large size paper. Basically, it is a large photo copy. Please remember, it is a violation of copyright law to make copies of a Digital Bond Copy without written permission of Taylor Made Plans. Additional copies may be purchased from Taylor Made Plans. Our “PDFs” are a digital copy of the house plans from which paper copies can be made. A PDF file cannot be changed or modified. Do you sell PDF’s or CAD files of your house plans? Yes, contact us on the NEW HOUSE PLANS page for more info. 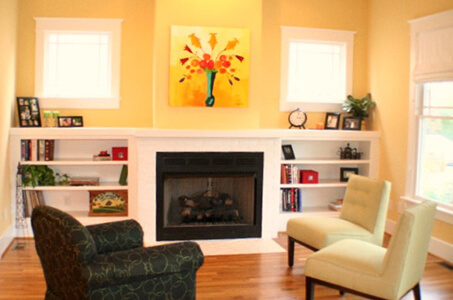 What makes a home plan energy efficient? A house plan that is energy efficient will incorporate Best Practices in building materials, methods and durably details. It is best to consult with an expert team; Residential Designer/Architect, Contractor and Energy Star third party verifier. The third party verifier will check the construction for Energy Star or other program requirements. When the construction is complete, the third party verifier will conduct a blower door test to verify the air flow and determine when a home needs additional mechanical ventilation. What is a space efficient plan? 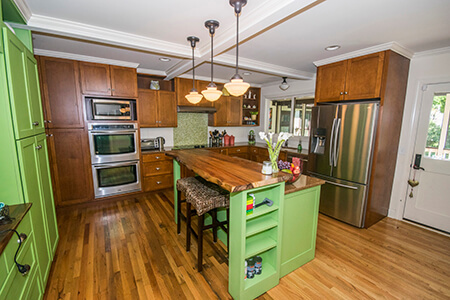 A space efficient plan is one that maximizes the square footage in its design. Interior features may include open floor plans, multi-use areas, and flexible bonus space upstairs for future expansions. Built-in bookcases, shelves and window benches also free up floor space. 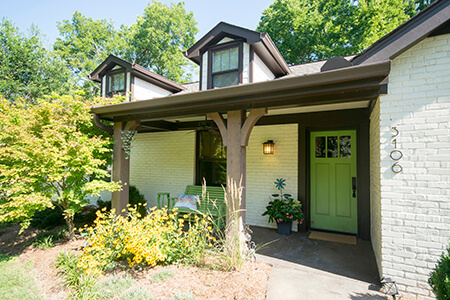 For the exterior, strategic placement of porches and decks can also increase the overall living space. What is the building envelope or building setbacks? Before you start your house plan search, it is important to know what the house size limits are for your building lot. The building setback is the distance the home is set back from the road, side yard or rear property line. This would be the maximum width and depth of the house you can build on the lot. Every state, county, and municipality has its own setback requirements depending on your local zoning. This is another reason to have a survey completed before selecting a house plan. What is a Right-Reading Reverse plan? You may want to see what your home would look like if the living room was on the left instead of the right. A Right-Reading Reverse is a plan that has been flipped but all the text reads the right way. Another way to do this is to order a Mirror plan. It will show the flipped look but the text will read backwards, as if looking in a mirror. We can always reverse the plan for a modification fee. What is a walk-out basement? This is a feature that provides outside access to the basement that does not require steps. An example would be basement access placed at or above grade (ground level) on a downward slope at the back of the house. What is a Historic Overlay District or Historic Zoning? This is an area or neighborhood that has zoning regulations based on its historical, architectural or cultural aspects. 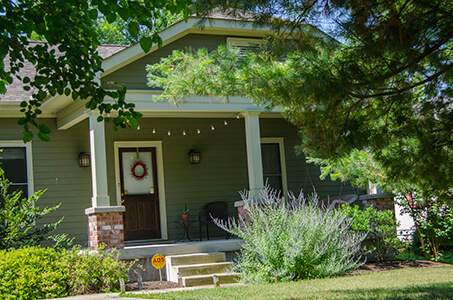 Houses in historic neighborhoods do vary from block to block. Some house plans maybe acceptable on one block but not another block in the neighborhood. 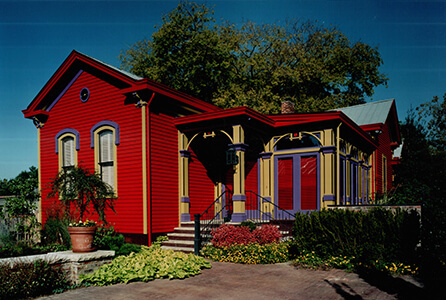 When designing a plan for these areas we appeal not only to the homeowner, but the local governing municipalities as well, providing a house plan that blends well with the historic character of the district. 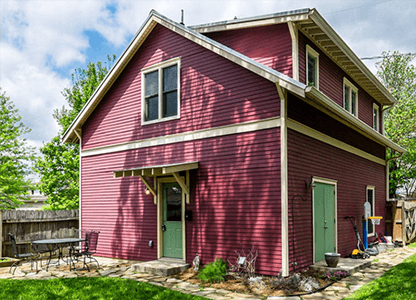 What is an Infill house plan? 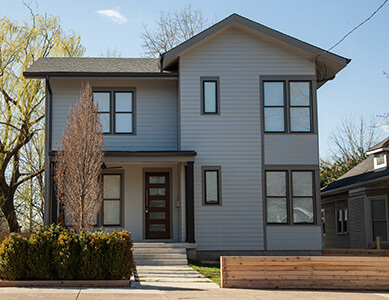 Infill is a Preservation and Urban Planning term that means building a new house in already established urban neighborhoods. If there is a vacant lot in a establish neighborhood, then when you build a house on the vacant lot it is an “infill” plan. What defines a “narrow lot”? 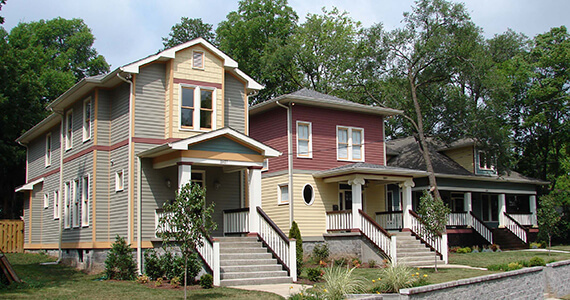 Narrow lots are defined by the width of the building lot and usually located in the inner city. We define the narrow lots as any building lot less than 30’-0” wide. We have many narrow lot house plans! What do the abbreviations on plans stand for?